*bounces* I figured it out!! YES!! I feel rather accomplished now. I'm making the socks of doom in bright lime green. hehe. I bought my first set of double point needles today. I'm attempting to learn to knit-in-the-round. this is impossibly hard. I'm about to cry from frustration. How the heck am I supposed to hold 4 needles at once without dropping any stitches? I've been thinking about what I want to make for April for Christmas. hehe. I'm knitting everyone presents this year. hehe. 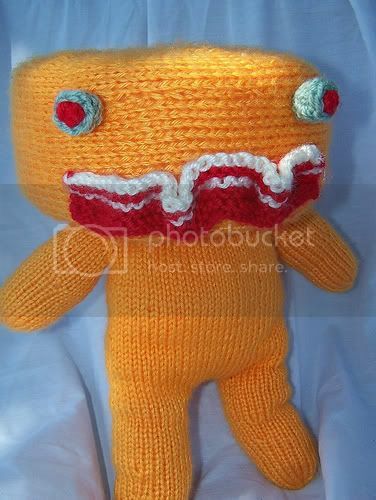 I think I want to knit this. hehe that wouldn't take me too long. I finished the front side of my current hoodie. That's exciting. So i started on the first sleeve. I realized today though that I'm going to need more yarn. I have one 3 ounce skein left and 2 sleeves to do. I knew that I didn't buy enough. I'm Bethany. I'm 17, and I love to knit. I taught myself to knit 2 years ago and it has become my addiction. I can't hardly stand not having a pair of knitting needles in my hands. I taught my friends and family to knit too. If I get the time I might post a tutorial later :). So this is my knitting blog. Where I will post about all things knitting. The stitches I'm learning, the projects I'm working on, yarns I'm in love with, ideas... anything knitting. I would love to hear from you if you have any thoughts or ideas. 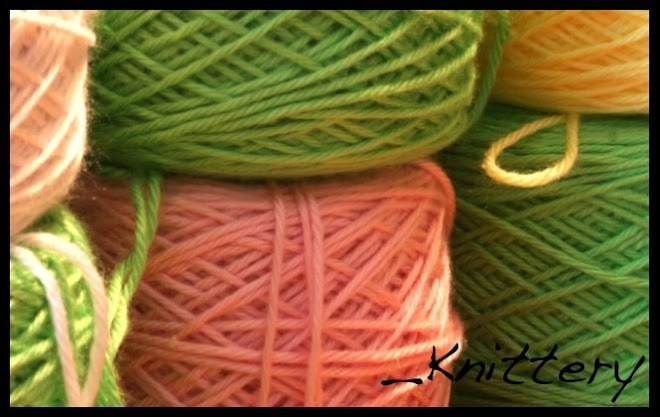 Feel free to email me at knittery@gmail.com. Right now I'm working on a hoodie for a Christmas present. I have to get 4 of them done by Christmas. I'm not sure what I was thinking when I agreed to take on this much work. Thankfully they are getting done somewhat quickly. It helps that I'm using super bulky yarn and size 13 needles. The last hoodie I made took me 3 weeks. I would have been done sooner but I messed up the sizing on the sleeves. so I had to rip them out and completely redo them. that was depressing. So I'm being careful this time about getting the sizing right. I'm getting bored tho because its all in stockinette stitch. I want to do something more challenging. But then again getting 4 of them done by Christmas is a challenge in itself. hehe. I think I want to try to make the "twiggy tweed" purse off Knitty.com. I think that's going to be my next challenge. I should be able to do it easily. I'm in love with these knitting needles. I'm going to try to get a pair for Christmas. How cool are those? I could knit in the dark! yay! hehe.